That is something that my mother often told me. As a kid, I expected things to be fair. Early childhood predisposes you to that concept, everyone gets a cupcake, an award, but we aren’t all the same. We won’t have the same experience even if we go through the exact same ordeal. As a mother, it is my responsibility to help my children learn this lesson and the follow on of how to deal with that disappointment with grace. I worried about how she would handle it with Tourette’s, but the ability to focus has actually been good for her in a lot of ways. Over the past few months, I have noticed tics getting stronger, but most of them are facial and we were told to expect more as she reached puberty. My fears weren’t necessary as she has been competitive in her chosen sport. We will see where the next few years take us with TS and Skating. Meanwhile, Figure Skating at this level can be very subjective. This means that I am able to teach my girl via experience that life isn’t always fair. She’s a pretty strong judge of herself, and is typically spot on with where she will place. – I love that she can look at her performances critically. – Every once in a while, we get surprised, though. 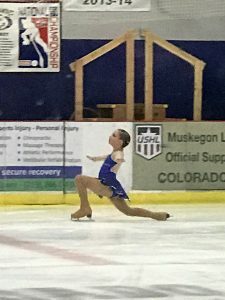 A skating her Free Skate to ‘Ice Ice Baby”. She placed 2nd. Yesterday was one of those times. A skated clean, had beautiful spins, we all expected a 1st or 2nd place finish. Especially since two girls stumbled and another fell. But this was the theatrical. A hadn’t chosen a bubbly, bouncy performance. She had chosen Defying Gravity, a strong performance, but not bubbly. She was beautiful. She tied with the other skater who also had skated clean for fourth. The girl who fell, placed third. A was very obviously disappointed, but she collected herself. She congratulated all of the girls and thanked her coach. Then she went and cheered up the girl she tied with. She was 1st in my eyes at that moment. It is in those moments that I realize that I am not completely failing as a mother. We were all tired, we had woken up and gone to Mass early, with full makeup on A’s face (possibly eliciting looks). C and E had basically been drug from one rink and competition to another and had handled it beautifully. We were all disappointed. A led us in that moment. Now, I am reminded of a passage from Jeremiah. 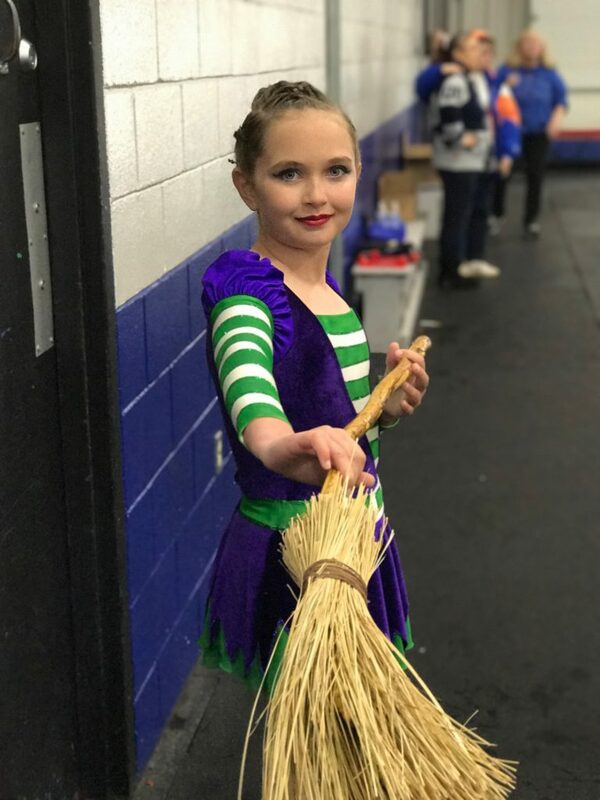 At the end of the day, I have A in skating because the lessons she is learning set her up for life. If she never makes it to the Nationals or Olympics, this will have provided her with a better future. Right now, she is still full of hope and looking towards next season. Who knows what God has in store for her?